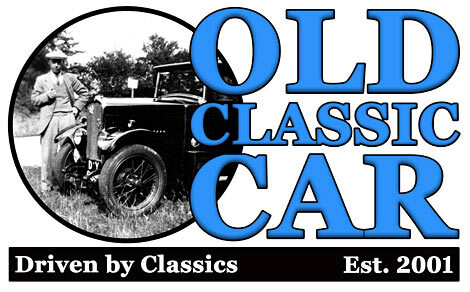 The Old Classic Car (OCC) site contains a wealth of information relating to classic cars, from the veteran and vintage eras right through to the modern classics of the 1980s, plus memorabilia that relates to them. 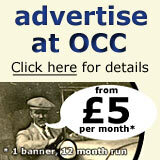 Initially a small site based in the UK, over the years OCC has grown to include a wide variety of articles, photographs and nostalgia relating to the history of motoring in all its forms. 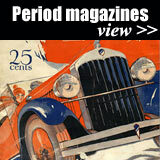 Motorcycles and commercial vehicles of yesteryear also feature. 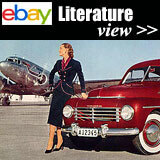 The site search will help to locate specific items of interest, and don't forget to visit the forum too. My Austin 7 special glimpses daylight for the first time in exactly fifty years. 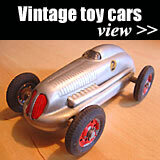 Online Autojumble!! Free Parts Ads. 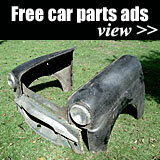 This site has a substantial parts, or "autojumble", section. 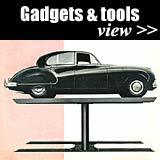 If you have old bits cluttering up your garage, why not pop a mention on the relevant page(s) within the classic car parts section? The latest ad, placed 16 April 2019, is on the Vauxhall Astra GTE Mk1 page. You can also view all ads for a given make. Enthusiasts of motorcycles, tractors, vans and lorries haven't been forgotten either, with sections for those also. 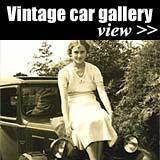 I'm interested in featuring stories about the cherished machines that belong to readers of this site - please email me your vintage car story, and preferably a few photographs too, whether yours is on the road yet or in the middle of an epic rebuild. 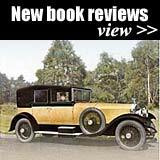 Memories of driving in days gone by, say in the 1960s or before, are also very welcome as they can make for a great read. In 1987 I passed my driving test in a Mk1 A40, bought new by my great aunt and uncle in 1960. The car is still here, but needs plenty of tlc now. It shares garage space with a Dodge car built in 1924, a truck of the same manufacture from 1940, and a pre-war Morris. 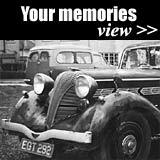 Join the car forum and talk about all aspects of early road transport, classic cars, and restoration. 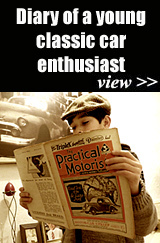 Motoring Articles and Features Menu. 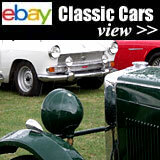 Buying, maintaining and selling vintage & classic cars. 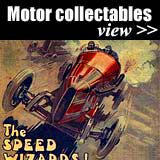 Collecting automobilia relating to byegone motoring. Transport photographs, postcards old & new. My car history & stories. 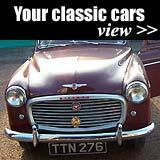 Find spare parts for cars, motorcycles, lorries, vans.